Here at Bowmans we operate comprehensive trade waste and recycling services. We can uplift your existing general waste wheelie bins for your complete convenience. This service allows us to take away the stresses of dealing with the waste your business produces, we are able to deal with your waste and allow you to focus on the more pressing issues within your business knowing your waste is in our hands. 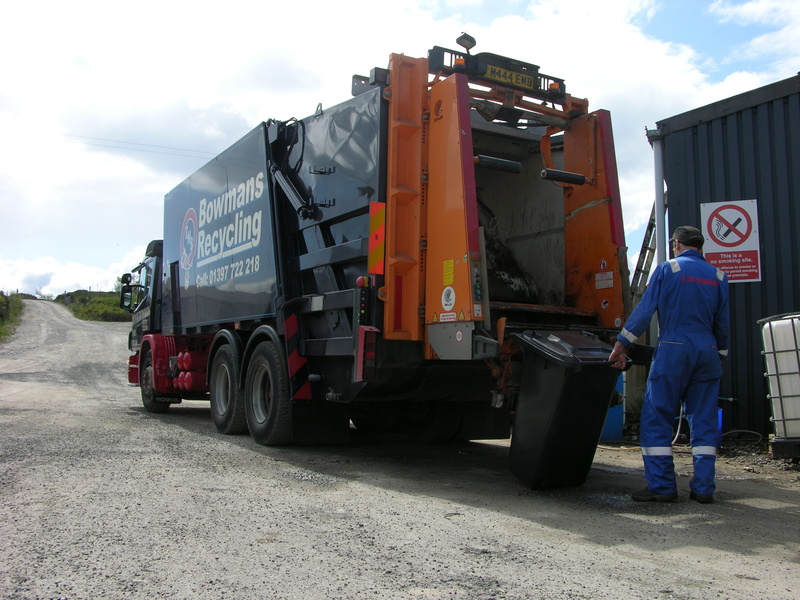 These scheduled services are specifically designed to provide a regular waste collection for the smaller commercial and light industrial businesses. They are also able to be utilised by larger companies requiring the lifting of a number of containers at different collection points allowing you to spend more time on your business and less carrying waste to a single location. These services are suitable for the collection of non-hazardous compactable waste streams and mixed recyclable material i.e. paper, cardboard, cans and plastics. We also provide a separated glass collection. We are pleased to be able to supply a wide range of wheelie bins to suit your individual needs. You can either rent the bins from us or if you prefer you can purchase the bins outright. Bin hire provides our customers with the flexibility to adapt to peak periods without having to purchase additional bins.